July, oh July, you have so many comics releasing, and I want it all. Badass Hulk. Fashionable aliens trying to be human. BTS for stage crew boys. Gotham Academy second semester. This month, you need to put these on your TBR list. 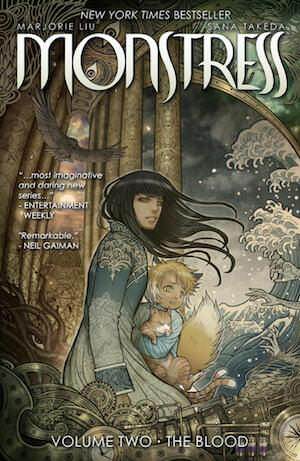 The Eisner-nominated MONSTRESS is back! Maika, Kippa, and Ren journey to Thyria in search of answers to her past… and discover a new, terrible, threat. Why I’m excited: OH MY GOD, YOU GUYS, MONSTRESS VOLUME 2 IS THE BEST EVER. You get Maika, loyal Kippa, Master Ren, more cats and other creatures. I have read it like multiple times, and I’m just so struck by the writing and the art. All the characters leave a heavy impression in my heart. If you haven’t read Vol. 1, you must do it!!! By Chance or Providence will have you utterly spellbound with its three stories that speak of “ancient curses and terrible truths” that will have you on bated breaths. What a terrible mistake. 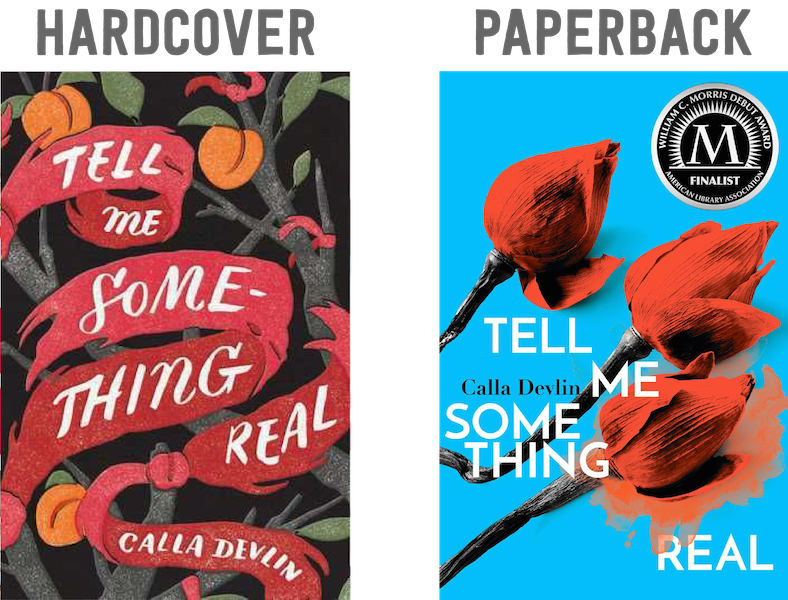 Who approved the paperback of Tell Me Something Real? Because they need to get their eyes checked if they think it’s a great cover design. When you compare it to the beauty of the hardcover, I am at a loss of words. I love the hardcover because the illustrations are gorgeous. The coloring of it is what makes it amazing. I like that the colors look semi-fade or rubbed off. I really like the title font because it meshes with the overall cover. However, the paperback, what even. The placement of the title is a mess. The positioning of the author’s name is awful too. The flowers are fake as hell. Just why. Final Verdict: What cover do I like better? Hardcover. Which cover design do you prefer? Would you buy the the hardcover or paperback cover? Moonstruck, I am…lovestruck with you.